I'm happy to say that hubs and I spent pretty much our entire weekend shooting the AR. Gotta brag on him a bit...he had a FANTASTIC day at the range! I was super impressed, and so was our instructor! I had a pretty great day myself. I was proud to see more progress on both my speed and accuracy! Tomorrow I'm going back for more! Each time, I learn and focus on a new element. I've been working on my stance, and it's improved considerably. I like that Wednesday night is shooting night...it makes for a great stress-relieving break in the week. I'll let y'all know how it goes! "His fist is big, but my gun's bigger. He'll find out when I pull the trigger!" Great post Selina. It's been a journey for me too. I went from scared and shaking to calm confidence. I still have setbacks that break my confidence when my gun jams, but pushing through it and learning to deal with it is extremely important in order to handle it in an emergency. I still consider myself a student. I'm ok with that. The rules are fresh and foremost on my mind when I handle my gun. I'm open to learning from ther people's experiences and make notes. I learn something every time I visit this forum. I'm grateful so many true professional, experienced, and responsible gun owners share their differing opinions and thoughts here. There's just so much to learn! If you carry a gun, people call you paranoid. Nonsense! If you carry a gun, what do you have to be paranoid about? The more I learn, the more I see there is a lot more to learn This forum is home to some of the nicest and most experienced folks to be found anywhere. I think that's what I like so much about shooting. I will never run out of ways to improve and expand my knowledge. I went to the range yesterday and did awful. It was just a bad day. Wish I could afford to go more often. Right now I'm there about every other week. Well, I didn't end up going to the range last night, as we are starting to run low on ammo, and hubs wanted to take a buddy shooting tonight. He just ordered a recoil buffer for the AR and said it shot GREAT tonight. I am so excited and can't wait to try it out. I will be sure to give y'all my take on it once I get to use it, which will be very soon. I'm hoping to get some pistol time this weekend. Seems like a good July 4th activity. I hope y'all have a blessed and safe 4th tomorrow!! Hi fellow shooters! This is a super happy day for me....I received my plastic!!!!!! I could not be happier. I am looking forward to getting out and about tomorrow with my LCP discreetly tucked away on my hip. I also pray to God that I never have to use it. I plan on continuing my education so that I am not only physically armed, but mentally armed as well. At any rate, it will be great to have such peace of mind going forward. I spent too many years being afraid in various situations, and I am glad that I am being proactive about doing something to minimize this. P.S. Thanks again to Crossfire Training for an EXCELLENT CHL class!!!! In the carbine world, I have made some strides since I last posted. Hubs and I competed in our first carbine competition last Thursday. We do not yet have the results, but we had so much fun!!! The range where we shoot is about to offer classes that we plan on taking as well. I am very excited about this new endeavor, and I will certainly let you know how it pans out. I also signed up for a ladies pistol group that meets at Bass Pro the first and third Tuesday of the month. It is called Miss Pistol. Is anyone here part of that group? If so, I look forward to meeting you! I know I just posted a lot of info for y'all, so clearly I need to get on more often!!! As always, happy shooting! Congrats on your plastic! I think one of the main reasons I've been so passionate about talking to women about guns (when the opportunity arises without oversharing) is because as I cautious person I always lived in a state of fear. I knew any odds of me coming out on the good side of a threat were minimal. 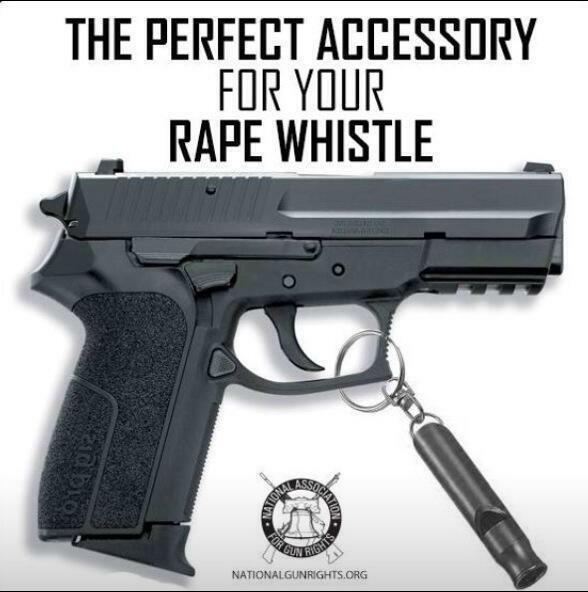 Now that I carry everywhere I can I know that while I may still met a threat, and while my gun doesn't guarantee a win, it gives me a better chance. I feel free from the fear I've always lived in. The weight of responsibility that came on me as a carrier is nothing compared to the weight of fear I'd lived in before. On another note, right now since your gun is likely on your mind when you're carrying all the time, it's easy to focus on situational awareness. As you get used to carrying and your gun is a normal part of your wardrobe, beware that you don't lose focus on situational awareness. I've noticed myself slipping and I've had my license since may. asbandr wrote: On another note, right now since your gun is likely on your mind when you're carrying all the time, it's easy to focus on situational awareness. As you get used to carrying and your gun is a normal part of your wardrobe, beware that you don't lose focus on situational awareness. I've noticed myself slipping and I've had my license since may. This is very good advice, thank you!!! I can see where this could easily happen. On my own, but with the help of a good friend I now own a sig p238 and a sig misquote. 22. I am now waiting for my plastic as they say. Thank you. Welcome! That's wonderful that you took the initiative to learn! CHLLady wrote: Great post Selina. It's been a journey for me too. I went from scared and shaking to calm confidence. I still have setbacks that break my confidence when my gun jams, but pushing through it and learning to deal with it is extremely important in order to handle it in an emergency. Your SO (significant other) needs to load your magazines with several empty cases per magazine for you to shoot. This will cause a jam and you will become use to clearing your firearm. Make the empty cases random in the magazines. I wouldnt use empty cases as they might not feed properly. They may also give you the wrong impression that something has actually malfunctioned with your rifle. uthornsfan wrote: I wouldnt use empty cases as they might not feed properly. They may also give you the wrong impression that something has actually malfunctioned with your rifle. Not feeding properly is a jam. That is what you want so the firearm requires clearing. Snap caps are best for dry fire or misfire or for trigger control. They won't simulate a malfunction that needs to be cleared.